As a fierce advocate of entrepreneurship and self-development as change agents in their own rights, Romana was led to found The King’s Image Agency (KI) in 2001, which was recently renamed Imagine You! Consulting Group. Imagine You! is an umbrella organization providing structure for several projects, programs and initiatives aimed at building and healing communities through focusing on self development and changing lives one person at a time. Through these endeavors Romana is dedicated to provoking people to the high call of business ownership in promoting and exercising good stewardship over their God-giving talents, opportunities, time and money, primarily focusing on youth and young adults encouraging them to become positive contributors in their local communities. The most prominent outcomes of her initiatives are D.I.S.C.I.P.L.E.S. (Dedicated Individuals Serving Community in Promoting Leadership and Economic Stewardship) Youth Entrepreneurship program and Sisters Please Mind Your Own Business! Entrepreneurship Skills Identification Workshop for women. Both were founded in 2001 and are based on self-authored curriculums. The D I S C I P L E S 10-week program culminates in an instant real-world market place experience for young people 10 years old and up, while the Sister’s workshop helps aspiring women entrepreneurs identify and develop natural talents and then couple these with practical business principles to assist in contributing to their family’s increased standard of living. Mrs. Kerns-Muhammad has over twenty six years of progressively increasing business experience, which includes the study of entrepreneurship, in addition to more than twenty years of applied administrative business knowledge. She is a 1998 Certified graduate of FINCA USA’s Basic Entrepreneurial Training (BET) program, which qualifies her to organize and head Self Employment Associations (SEAs). In addition to having founded D.I.S.C.I.P.L.E.S.’ programs, Romana has launched several other ventures, including having founded The King’s Image Modeling and Development training program in 1997. The focus of this company targeted preparing young ladies ages 13 and above to competently approach a career in the image industry and was successful in helping several teens and young adults get a right start in this career path. The program had its greatest impact with youth through teaching contracts Romana held with Maryland’s National Park and Planning Commission (MNPPC). 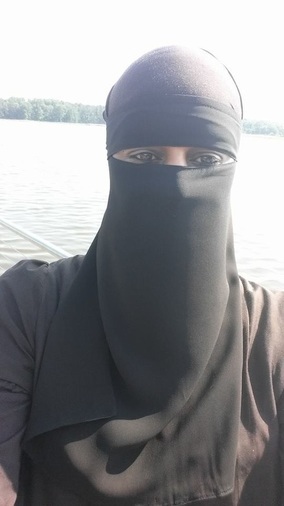 Other community togetherness initiatives include having helped successfully design and implement many outreach programs aimed at building relationships and opening doors of communication between people of the Muslim faith and their surrounding non-Muslim neighbors as the Office Manager for Prince George's Muslim Association (PGMA), in Lanham, Maryland for more than 6 years. As a former service industry employee, Romana relies heavily on the people-oriented skills she obtained while working in the service industry to help her provide excellent client service with every endeavor she approaches. The trait about herself Romana appreciates the most is the convictions she holds uncompromisingly in relation to her love for ALLAH and her love of people in general. She takes pride in her ability to comfortably interact with individuals from varying socioeconomic backgrounds and ethnicities. Ms. Kerns-Muhammad is a visionary who aggressively pursues opportunities to grow the causes related to and which directly affect the success-ability of Imagine You! Consulting Group and every other endeavor she approaches.